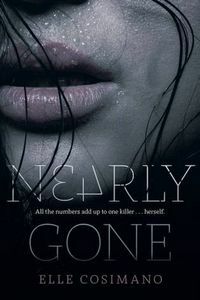 Nearly Gone by Elle Cosimano: Synopsis and Online Purchase Options. Synopsis (from the publisher): Nearly Boswell knows how to keep secrets. Living in a DC trailer park, she knows better than to share anything that would make her a target with her classmates. Like her mother's job as an exotic dancer, her obsession with the personal ads, and especially the emotions she can taste when she brushes against someone's skin. But when a serial killer goes on a killing spree and starts attacking students, leaving cryptic ads in the newspaper that only Nearly can decipher, she confides in the one person she shouldn't trust: the new guy at school — a reformed bad boy working undercover for the police, doing surveillance … on her. Nearly might be the one person who can put all the clues together, and if she doesn't figure it all out soon — she'll be next.